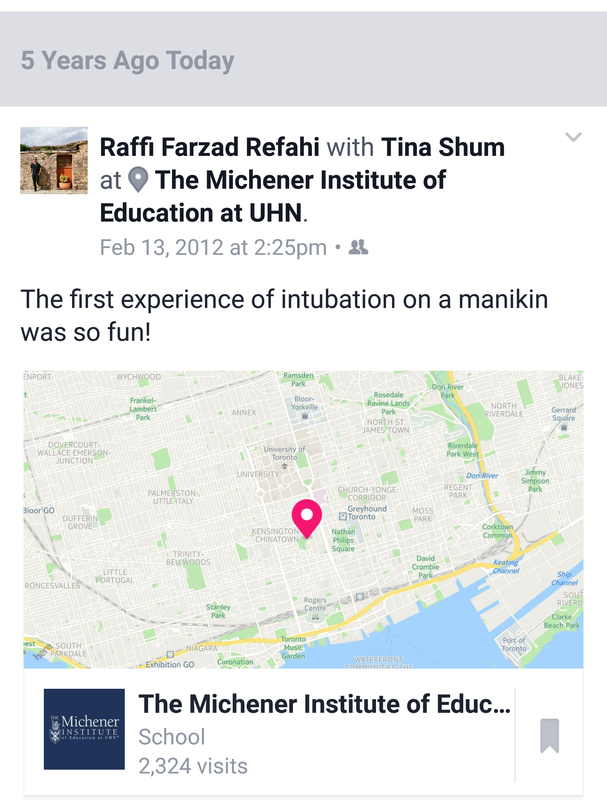 These were my initial thoughts after trying intubation on a manikin for the first time on Feb 13, 2012 at The Michener Institute. My first intubation in a simulation setting. “So Fun”. Reaching for the laryngoscope with the left hand, sliding the tongue to the left. Recalling to lift up and NOT to bend the wrist. To pass the tube through the cords. To establish an airway. To intubate. A palpable excitement in the clinical laboratory as my classmates took turns to attempt this skill. Somehow it made us feel powerful, and closer to becoming a Respiratory Therapist, an RT. This post is a self-reflection, a personal opinion, and does not represent the thoughts and the beliefs of my employers. I will make references to intubation as a unique RT skill, without suggesting that it is the ultimate required intervention. Also, I will draw on my experiences and insights as a lifeguard and a respiratory therapist, without any attempts to fully describing the responsibilities of each job. When I read my Facebook post from 5 years ago, I started to think about my role as an RT. I realized that my views and thoughts have shifted, or expanded to be more accurate. I had gone through the same realization some years ago about a similar case. I started recalling my training and work as a lifeguard. To be a lifeguard. To recognize the signs of struggle, to make that dive, and to save someone. Many swimming classes and training sessions prepares one to become a lifeguard. The idea of being able to save someone is a strong motivation to jump through all the hurdles and requirements. However, when you complete the training sessions and start working as a lifeguard, you realize that the ability to ‘dive in and save’ , is only a very small part of your actual shift. Does that take away from the skills and abilities of a lifeguard? Absolutely not. But one quickly learns that there are many more processes in place to make someone a quality lifeguard. The meaning of ‘saving’ someone shifts and expands. 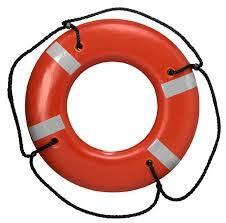 Once trained, lifeguards are equipped with many skills to approach and intervene with the situation at hand. However, most of the shift is spent on preparation and monitoring. Yes. Lifeguards spend most of their time preventing the opportunity to do the glamorous ‘dive and save’. Time is spent to scan the swimming pools before the beginning of the shift: scanning for any loose bricks, sharp corners, water quality and levels. During the shift, they monitor any risky behaviour by the patrons. They move around to have a clear view of those in the water. Lifeguards have learned to expect and predicts certain patterns. In case of emergency, they use the skills and routines that they have spent hours practicing. Once the incident is dealt with, they spend time documenting and communicating with appropriate staff. The incidents are monitored to recognize any patterns. I had a very similar insight when it came to practicing respiratory therapy. After finishing my undergraduate studies and then few years of respiratory therapy program, I became an RRT. I learned that if intubation is the required intervention then RTs are willing and ready to perform the task. However, just like my lifeguarding experience, a lot of effort is spent on recognition, monitoring and prevention. After performing any required intervention, RTs educate and follow-up to prevent the repeat of this incident. With additional knowledge and experience, one stops thinking about one specific event and start thinking about the bigger spectrum of care. Let’s imagine that you are an RT responding to a page for intubation of an Asthma exacerbation. The initial nebulizer and oxygen therapy treatment has failed, and deterioration has continued; Intubation has been selected as the next intervention. You intubate and ventilate, and the team uses the appropriate pharmaceutical therapy to help the patient. Your job as an RT may have been done for that instance, but you soon realize that there is a whole system in place that will continue to take care of this patient. Your colleague may be called in during discharge to review an Asthma Action Plan with the patient. This patient goes home and returns to his/her daily life. He/she books an appointment with an RT, a certified respiratory educator, to discuss the recent events. During the session, spirometry is done to compare the current values with his/her baseline. A review of the current puffers is done. Puffer techniques are assessed, corrected and/or reviewed. The action plan is reviewed and modified as needed. A list of triggers is updated, and plans to prevent these triggers are discussed. Our patient is monitored by a team of RTs/CRE/Respirologist/MDs/nurses/Pharmacists who look after him/her. If all of the above fails, then we know there is a team of healthcare providers waiting in the emergency departments and ICUs to assist and treat such exacerbations. Preparation, monitoring, interventions, and follow ups. Through my short RT career so far, I have worked in acute care, pulmonary function testing and sleep apnea education/CPAP. I have had the opportunity to view our role from a wide spectrum. It is comforting to know that this system of prevention, treatment, and follow up is active in all the settings. While this system is not perfect, there are caring people who are trying to make improvements. By thinking about the bigger image, and staying humble, we can be a better member of this spectrum of care. In hindsight, the thought of diving in and rescuing someone via intubation seems glamorous and ‘fun’, however, it is but one aspect of being an RT. Respiratory Therapy field is expanding and we are the driving force behind it. Next PostNext CSRT Conference. May 2017. Halifax.